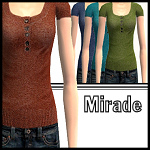 I made these tops about 5 months ago, and am just now getting 'round to uploading them. I so rock. 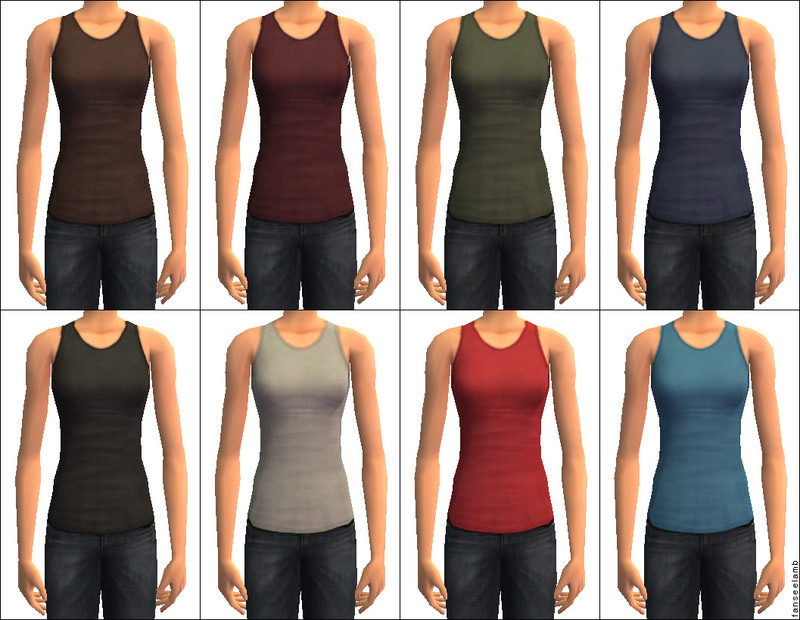 They're actually just some of my male tops (these and these) converted for women, plus 2 bonus girly-coloured baseball tees. 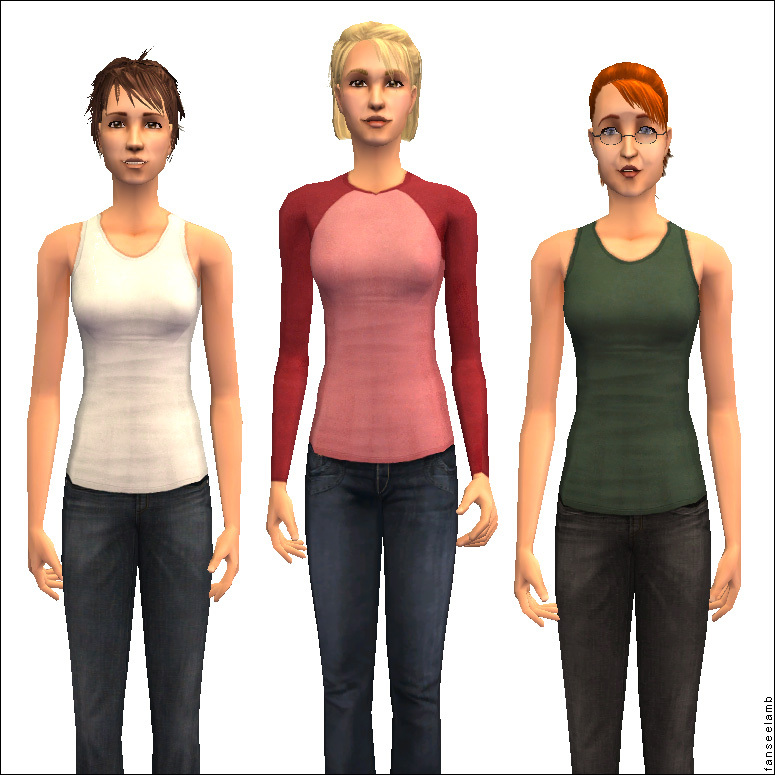 Like all "untuckable" tops, they work with any pants but will only look untucked when paired with special low pants like HystericalParoxysm's Untuckables or the H&M Jeans pictured. 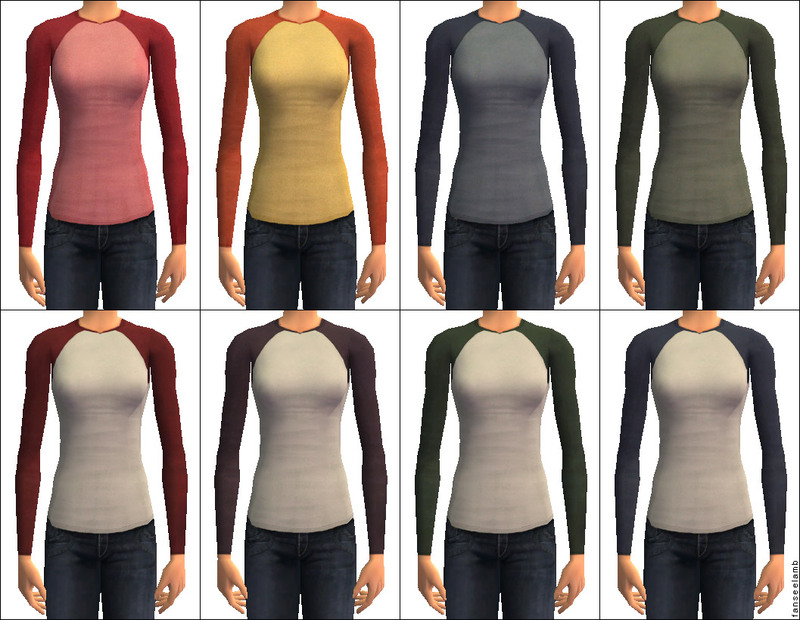 Untuckable Top Mesh by HystericalParoxysm Required. Thanks, HP!!! 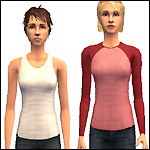 Tops - Everyday Only - Adult/YA - No EPs Needed - Mesh Required! 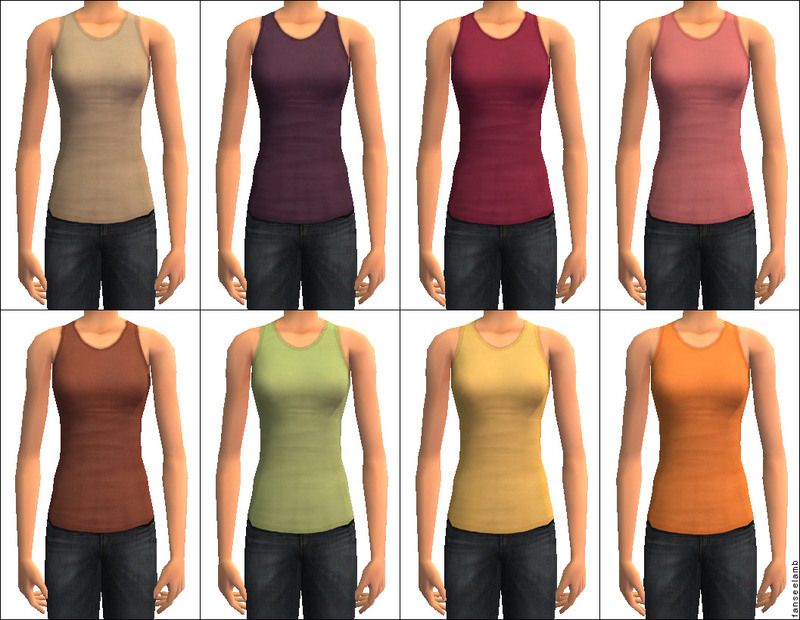 These recolours may or may not be endorsed by fanseelamb.